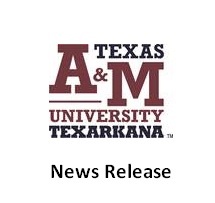 TEXARKANA, Texas – The Texas A&M University-Texarkana Honors Program along with the Department of History are hosting the first Honors Program Colloquium of the spring semester in honor of Black History Month. The lecture, titled Trouble with The Mann: Jack Johnson, White Hopes, and the First Black Heavyweight Champion will be presented by Visiting Assistant Professor of History Dr. Andrew McGregor. The lecture is free and open to the public and will take place on February 12 from 6:00-7:30 pm in University Center room 217. Donald Trump posthumously pardoned African American boxer Jack Johnson in May 2018, leading many Americans to wonder who Jack Johnson was and why he needed to be forgiven. The first black heavyweight champion of the world, Johnson’s triumph in 1908 disrupted the social and racial hierarchy of the day. After winning the title, his character and his career faced constant attack. In celebration of African American History Month, this Honors Colloquium lecture explores the career, legacy, and impact of Jack Johnson.